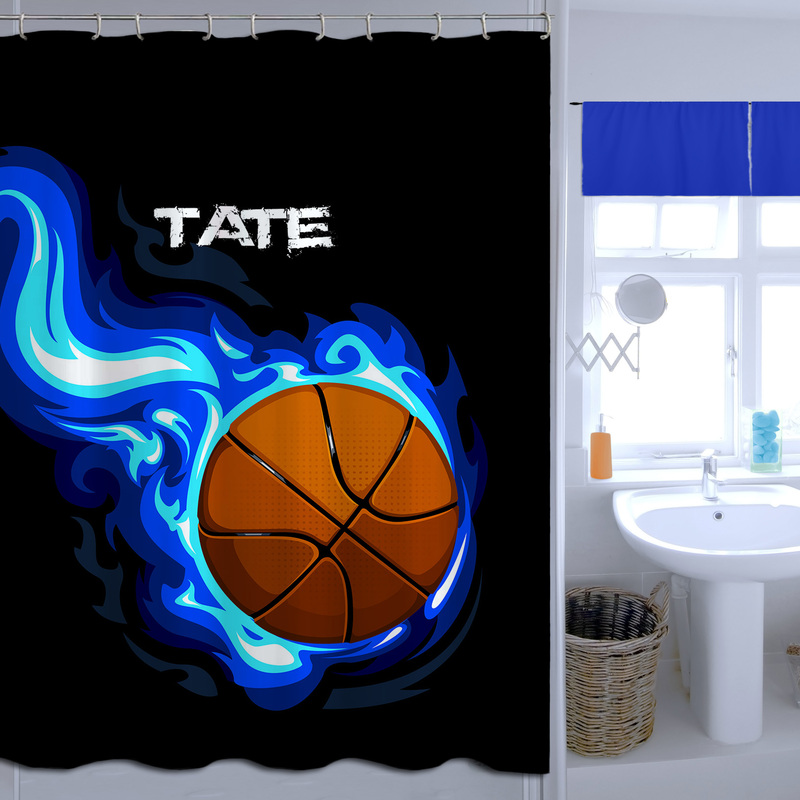 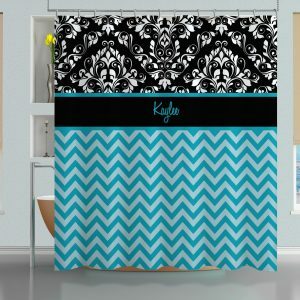 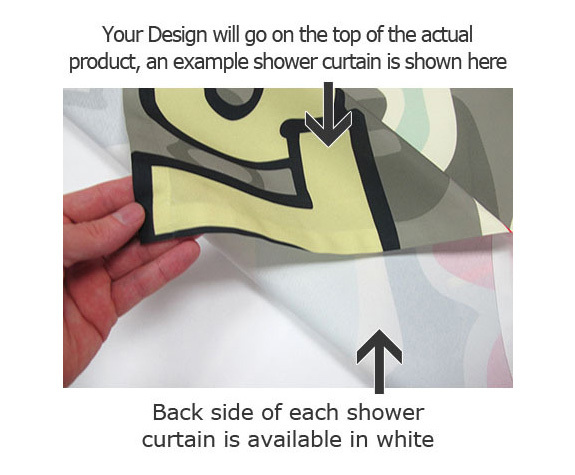 Beach Themed Shower curtain for kids, Bottom Blue and White Polka Dots. 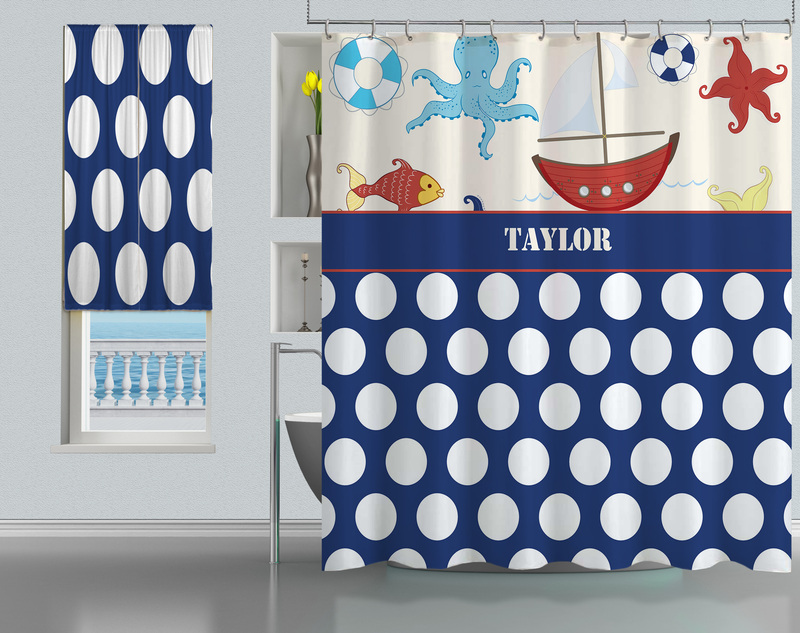 Feel like your on the coast with this Nautical Themed Bathroom Shower curtain. 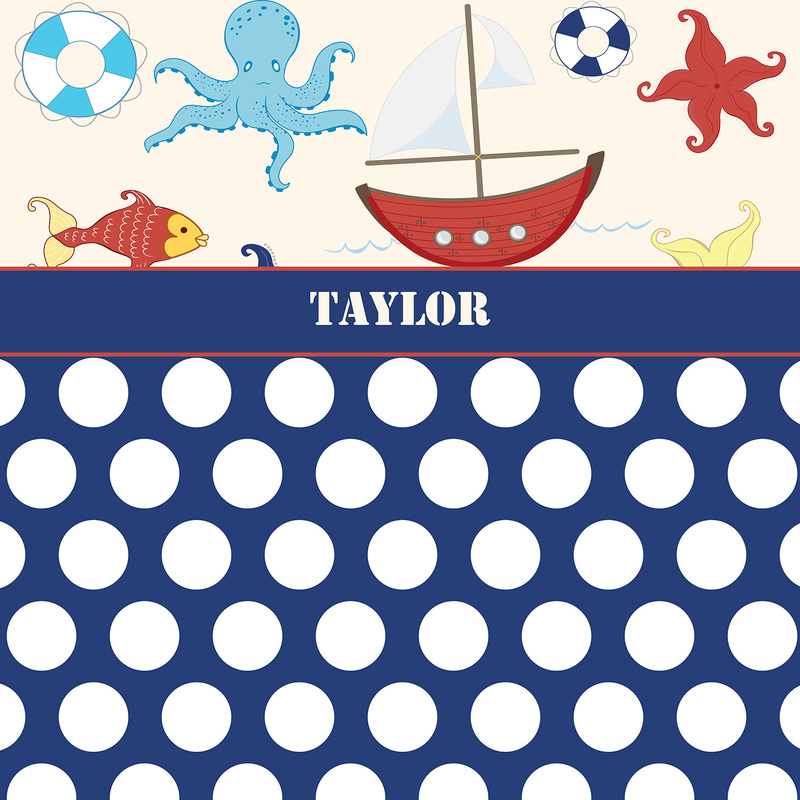 These Blues and Reds go well with all beach and sailboat decor while remaining enjoyable for children of all ages.